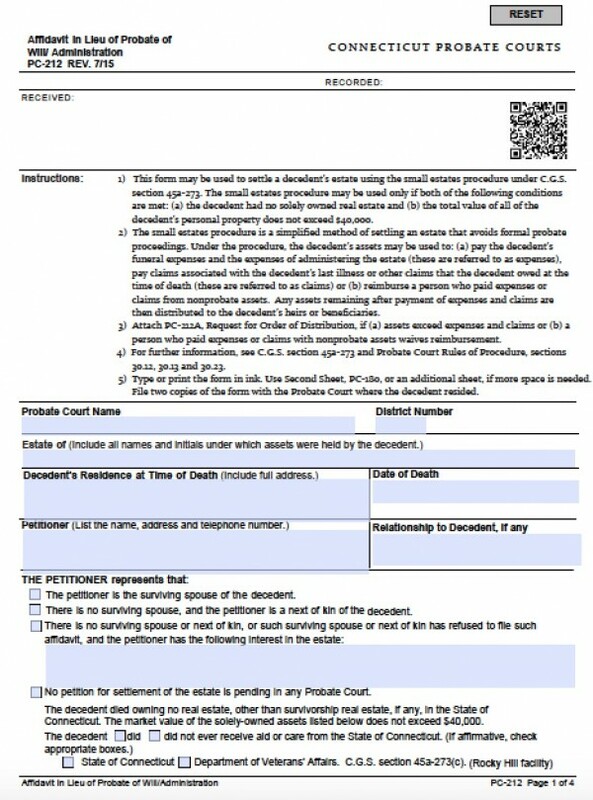 Under Connecticut law, if a deceased person’s real estate is valued at less than $40,000, then successors may avoid the expense and time involved in probate court by applying for a small estate affidavit. This property includes homes, land, stocks, bank accounts, unpaid wages, and some debts. 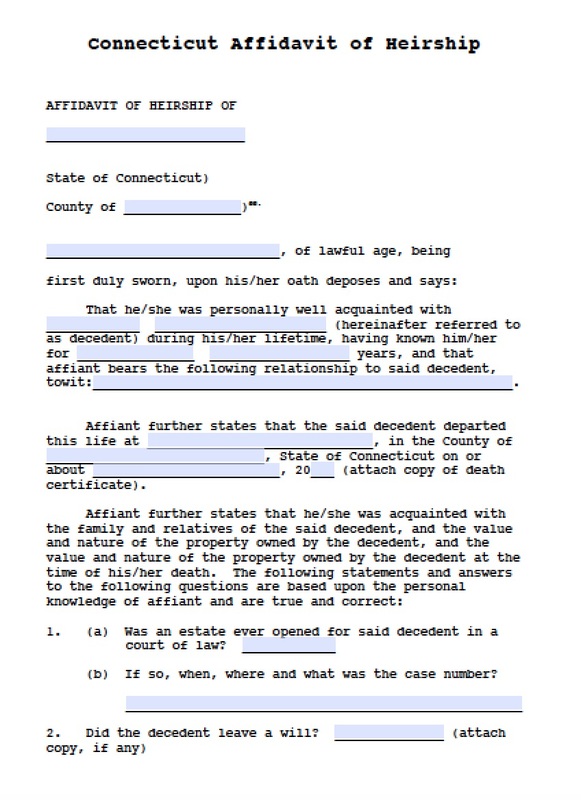 Small estate affidavit laws are governed under Connecticut law C.G.S. section 45a-273.